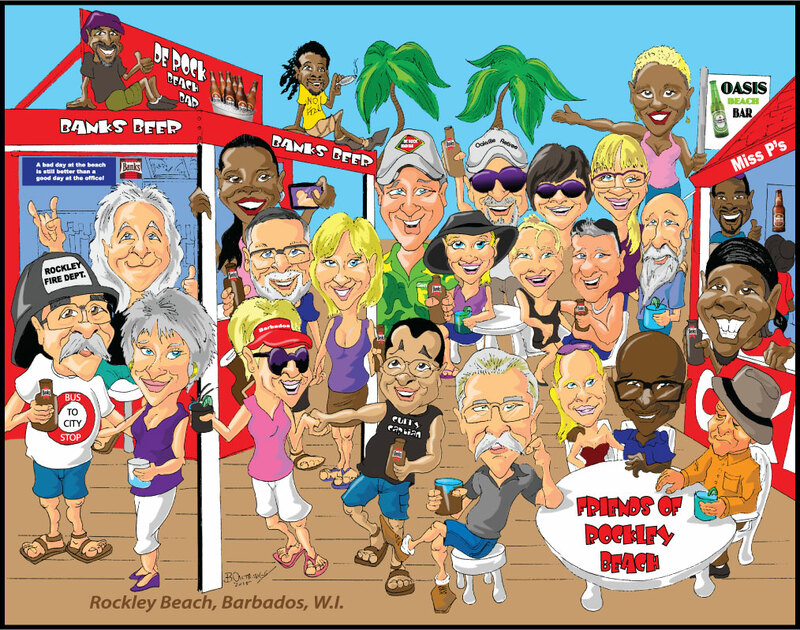 For those wishing to download a printable copy of the illustration below titled”The Friends of Rockley Beach” just click on the pdf link below and you can send that link to your printer. The picture size is set at 11×14 and the paper size is 13×19. It is best to print out on glossy paper for best results. Friends of Rockley Beach copy– pdf version for printing. Merry Christmas to our friends at Rockley Beach- See you soon!